Surely more “typewritten” Bin Ladin letters are “in the writing” to resurrected & serve our neocon 9/11 agenda again. Her films are not that good and never have been. They are propaganda films going all the way back to her police story, Blue Steel. The characters have no depth and are one dimensional. She has always been embedded with the establishment, getting inside information others lack. ZDT is the culmination of years of bootlicking. No matter what she may say, she has embraced torture, ZDT is not journalism, it is not a documentary, it is propaganda with the approval of King Obama and the CIA as killers. How many of you out there think Seal Team six actually killed OBL? My take form numerous alternate sources, one of which is Dr Paul Craig Roberts, is that OBL has been dead for at least a decade. WTF. Why even write this article if you don’t even know or suspect something’s rotten and needs to be investigated. This movie is just another bold and arrogant in your face lie. In the past if you ever looked on the FBI’s most wanted list OBL was never on it. Why? Because they (the FBI) had no evidence that he was involved in 911. Even OBL himself denied involvement when most terrorists as a rule fight over taking responsibility. I’ve read other reviews of the film that describe audience reaction to the final Zero Dark scenes similarly. That type of reaction is what Bigelow and Boal obviously intended. Another Hollywood (neocon movie ) to encourage America’s well nurtured psychopathic desire to legitimize ” killing them over there before they come over here and kill ALL of us” psycho agenda. Beware our “recovering” Military heroes or “Psycho killers” if they don’t comitt suicide first are now at home in a town near you and serving your community while fighting their demons if they still have a conscience left. Just a point of distraction. 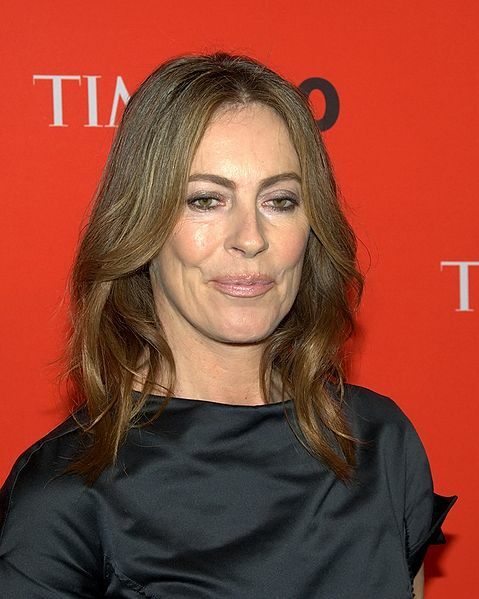 What has Kathryn Brigalow done to her face? She has the Botox swelling of a barbie doll, a bit like Angelina not so Jolie. Sorry to appear sexist, but it is weird. I doubt if I will go see this movie. I would only get angry at the fakery and the illusory patriotism of an event that could not have have happened the way this movie, and worse, the way our government distorts the truth. All this hype over a movie when there is more damning evidence of the bin Laden fable. A recent report obtained by the Associated Press should tell us to be very wary of the highly-publicized Navy Seals operation to assassinate bin Laden. Let me make this clear. as ex-Navy myself in service ending during the 1962 Cuban missile crisis, the Seals do their jobs and do it admirably. And I’m also painfully aware of the loyalties of supporters of President Obama who I supported, but did so because the alternative was far worse. I still have huge misgivings of the direction of American foreign policy and perpetual war. Why Mr. Obama has continued the policies Bush imposed following 9/11 has been deeply troubling to me. The Associated Press had filed a Freedom of Information request with the Department of Defense, and what they got was very heavily redacted, blacked-out pieces of information about the Seals operation. The substance of it further confirms many earlier reports I have received over recent years. A MASSIVE FABRICATION AND COVER-UP BY OUR GOVERNMENT ? The information obtained by the AP includes: 1) The emails obtained by the Associated Press through FOIA were heavily redacted and blacked out. NO U.S. sailors saw ANY of the burial at sea. 2) The Pentagon also said it could NOT find any death certificate, autopsy report or DNA identification tests for bin Laden, or any pre-raid materials discussing how the government planned to dispose of bin Laden’s body if he were killed. 3) The Department of Defense said in March that it could not locate any videos or photographs taken during the raid or showing bin Laden’s body. It also said it could not find any images of bin Laden’s body on the Vinson. 4) The Defense Department also refused to confirm or deny the existence of helicopter maintenance logs or reports about the performance of military gear used in the raid. And, in particular, this further notation obtained by AP: The CIA, which ran the bin Laden raid and has special legal authority to keep information from ever being made public, has not responded to AP’s request for records about the mission. From EVER being made poublic? WHY?? On the basis of many prior reports this, clearly, was totally a CIA operation, and in this case I believe, sadly, that the Navy and its personnel, including the Seals, were “used” to gun down an unarmed, aging, and unproven bin Laden. And in light of the new movie out about the raid, “Zero Dark Thirty,” I begin to seriously wonder to what extent will we continue to glorify what appears to be a propagandized and mythical portrayal that deliberately masks the truth? Bin Laden had been reported long dead, long before the alleged Navy Seals operation. There are many earlier reports of bin Laden’s death, including a former Cheney staffer who said bin Laden died in 2003 or before. Bin Laden was reported near death at an American hospital in Dubai in the summer of 2001. He was on dialysis. 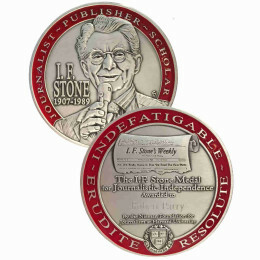 And other reports of his funeral, and his death reported in late 2001. WHOEVER THE SEALS SHOT, IT WASN’T BIN LADEN. There are many anomalies to this whole charade. The Washington Post, for example, reported bin Laden eschewed “modern” conveniences, including electricity. A report some time ago from Global Research said there was NO electricity in the alleged compound. So how did our government release a photo of an alleged bin Laden sitting in front of a TV screen — without electricity? Unless, of course, this was all part of the “staging” of this event by CIA operatives and others. In fact, another report suggests the CIA presence there was to plant “evidence” that would be “found” later. Further, that photo showed an alleged bin Laden sitting in front of the TV holding a remote in his right hand. FBI files clearly state bin Laden was LEFT handed. Nor could any connection be made to 9/11. Just a convenient bogey-man to help fuel America’s wars. The man could not have survived without dialysis equipment, NONE of which was reported to have been found at the alleged compound. Many of my friends are strong Obama supporters. And I know the direction this post takes has to be unsettling. It is to me, too. Many times I have discussed on with my black friends concerning just how much authority a president of the United States has. And to what extent a president is really but a “captive audience” of military and intelligence advisers who mislead and distort to gain presidential authorization for actions contrary to what a president, or the public, might otherwise, in his/her own mind, see differently? 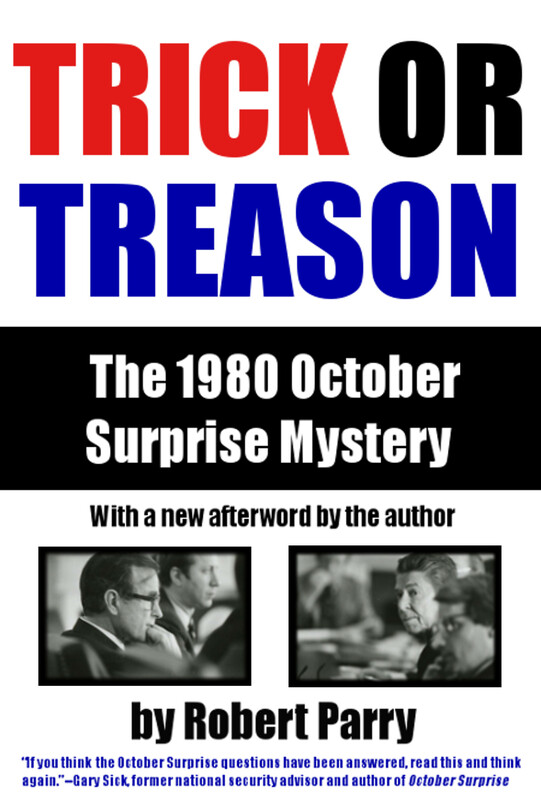 Many go so far as to suggest the president is, at best, a “figurehead” used by much more powerful interests, “interests” for example that resulted in the assassination of President John F. Kennedy for standing up to and preventing CIA and military plans for a false flag operation tied to the Cuban missile crisis. That’s right, false flags. Governments have used them throughout history to distort perceptions of reality in order to obtain powers not ordinarily consented to. Clearly, the CIA is not any more what it was originally created to do. It is seen by many as an almost “parallel government” often operating at odds with the democratic institutions we are taught of what America is, and has “agendas” operating far beneath public awareness that would make us shudder in disbelief. Eventually, let’s hope the light of truth will come to expose the lies and deceptions of the CIA/military industrial complex that runs America that President Eisenhower warned us about more than 50 years ago in his farewell address as the new president-elect, John Kennedy, was preparing for inauguration day..
As events occur, it seems we are being forced to live in an illusory reality as America’s wages illegal wars, tramples on the Constitution and throws out due process and rule of law, and washes traditional freedoms down that dark drain of false flags, the fraud called the “war on terror,” official corruption, our Orwellian “police state” transformation, economic collapse, murder, destruction, perpetual wars and the likely high treason involved in 9/11, and long before, that brought it all about. Just more psy-ops glorification for the masses…. Hmmm, powerful, frightening, would like to see Jon as a regular contributor to this site. The whole idea of the mighty US chasing down a guy on dialysis was always a little sketchy, especially when he was supposed to be living in a cave. I saw “the Hurt Locker” and found it exciting in a very visceral way, based on violent stereotypes as shown in Jack Shahan’s doco “Reel Bad Arabs” (available free online). Osama bin Laden was never tried for “9/11” because there was no evidence. He probably died years ago, and Obama’s “look forward not backward” seems not to apply to his alleged killing and the hysterical glee of the US public over this “brave act”. There is no way I would go to this film of any of the other stories vetted by the “Dept of Defense” or CIA eg ‘Rules of Engagement” about US slaughter in Yemen 2000 (justified of course; all the victims were really armed terrorists killed by our good guys). There are two old sayings apropos to the making of this film – “he who pays the piper, picks the tune” and “show me who your friends are, and I’ll know who you are.” The CIA gave active cooperation and support to the making of this film – now we see why. 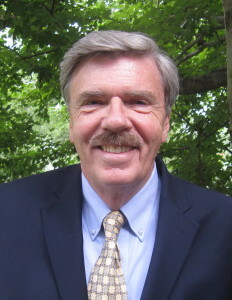 I also have a beef with Robert Parry’s selective memory regarding US involvement in Afghanistan. I realize that he is a supporter of the Democratic Party as “a lesser evil” and thus seeks to dump all of the blame for the Mujahadeen becoming a Frankenstein monster onto Reoublicans Reagan and Bush Sr, but this is the lie of omission. As Parry certainly knows, in April 1979, a full seven months before the Soviet invasion of Afghanistan occurred, US officials met with Afghan warlords bent on overthrowing the pro-Soviet government in Kabul. On July 3, 1979 President Carter signed the first national security directive authorizing secret aid to Afghan warlords. Carter National Security Advisor and anti-Soviet hawk Brzezinski said he convinced Carter that in his â€œ…opinion this aid was going to induce a Soviet military intervention… it would give the Soviets their own Vietnam.â€ The purpose was not to establish freedom in Afghanistan or independence, but to use the Afghan people as well as the Islamic right as a sword against the USSR. It would be honest if Parry gave the Democrat Carter the “credit” that he deserves! Dare to be different: regardless of its cinematic virtue or lack thereof, go see “Promised Land”. Good films are out there; patronize them and avoid the obvious propagandists’. Whether or not these films were government or Hollywood funded, the backers and funders have an agenda, and the public, and the Hollywood establishment (including Oscars, Golden Globe, etc) have been cynical and/or ignorant enough to buy into the message and fork over or earn big dollars. It says much about the state of education and propaganda in this country, as well as the agenda of our political leaders, and the perception the people have of their own national identity. We seem not to have learned much, if anything at all from the Vietnam War. Maybe we should stick to football where we can all feel good about our team and the game and fork over big bucks for the sensation. I think Mr. Parry is a bit too generous interpreting Ms. Bigelow who has clearly “embedded” herself in US militarism and CIA covert special operations, drumming up support, not only for the continued use of torture but for the latest “Rebranding the War on Terror for the age of Obama: â€˜Zero Dark Thirtyâ€™ and the promotion of extra judicial killing” (http://mondoweiss.net/2013/01/rebranding-promotion-judicial.html ) What Broadwell tried to do for “the surge”, Bigelow tries to do for torture and extra-judicial assassination. Both embedded “feminists” seem to have joined the female war-hawk club some time ago. I was tremendously disappointed when THE HURT LOCKER was given the Academy Award for best picture (over the peace-environment messages of AVATAR) mainly because it was full of the same nerve-wracking tension that Robert Parry talks about for ZERO DARK THIRTY, again and again and ever again exposing the audience to the same-old same-old bomb defusing that always does succeed. I really kind of hoped that the hero WOULD get blown up. The visions of the Iraqis standing around watching, deliberately inscrutable as to whether they were friendly or bearing arms to mow down our heroes (who had invaded their country AGAINST not only THEIR wishes but the wishes of every freedom-loving person in the world who had marched by the millions to try to prevent that invasion) stay in my mind. Those Iraqis, watching their invaders, turned into villains, hmmm. I hated THE HURT LOCKER for its limited thinking and one-sided and yes, I think, racist portrayal, and although the hero of that movie ironically is swept into an entire lifetime of warfare simply because he has become so accustomed to it and now rather likes it–and I think the audience is supposed to feel regret about that– there is a glorification of war therein that is despicable at its core. And let’s not forget that in our new “Guilty until Proven Innocent” America, we would rather kill them and not hear what they might have to say which could be embarrassing! The entire notion of pre-emptive “justice” is not only now employed by our foreign policy, but is working its way into our own mainstream system of domestic justice. When the FBI lures insecure or troubled people into helping them plot terrorist acts and then claims to have “stopped terrorism in our own land,” how far behind can the “Minority Report” type of policing be? That wasn’t really a great movie at all, but it just keeps popping back into my head — sort of like Soylent Green, another old movie that everybody should dig out and watch again. Do you ever wonder who funds these films and even if the people involved in making them even know that all of this could just be government funded propaganda. of the Arab world is revolting. I am ashamed to be a ‘Merican. Your article said”Director Kathryn Bigelow â€“ in both Zero Dark Thirty and The Hurt Locker â€“ presents stories of heroic Americans operating in a world of either apathetic or crazy Muslims, with little explanation of the whys behind the conflicts”. That’s the way people are, its a fact.